Liverpool Veterans HQ was developed By Breckfield & North Everton Neighbourhood Council (BNENC) to provide support to ex-servicemen and women and for those leaving the services and residing in the Liverpool area. Watch this film for more information. 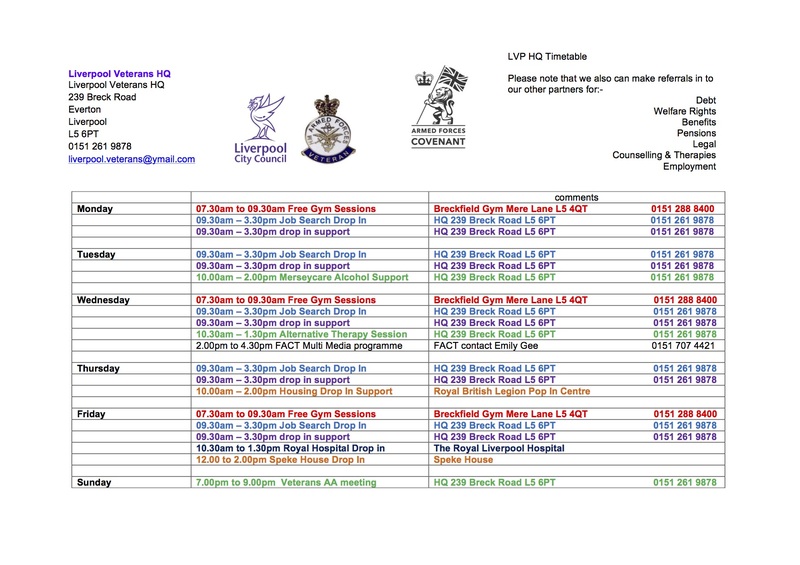 Liverpool Veterans HQ opened a one-stop shop on Breck Road in Everton in 2012 from which they provide a holistic support package, working together with 27 other partner organisations, for ex-service personnel and their families – pop in and say hello!